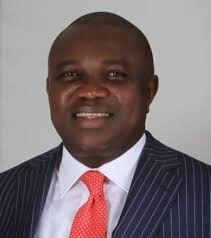 It is no longer news that all is not well within the Lagos State chapter of the ruling All Progressive Congress (APC). But the crisis seems to have taken a new dimension with Governor Akinwunmi Amdode allegedly using state machinery to silence aggrieved members of the party. The latest development in the strained intra-party relations is that property and business interests belonging to the ‘perceived outlaws’ are targets. The alleged plot is to look at the books in search of lapses and nail party members who are opposed to the governor. The move has already yielded results as two building belonging to the alleged non-loyalists found to have deficiencies in their documentations. One of the building belongs to the party’s National Legal Adviser, Muiz Banire while the other belongs to a member of the Lagos State House of Assembly, Funmi Tejuosho. The cracks in the party became galring during the primaries to elect the party’s candidates for the recently concluded local government elections. Some party stalwarts led by Banire had accused the party's leadership of working against internal democracy and not allowing popular candidates to represent the APC. The criticisms made by the aggrieved members particularly that of Banire drew the ire of the top hierarchy of the party. Banire’s harsh denunciation of the party leadership was widely interpreted as a direct protest against the National leader of the party, Bola Tinubu. Banire was the political son of Tinubu before the disagreement . He was loyal the extent that Tinubu made him Commissioner in his two tenures as the Lagos State governor. He also was appointed Commissioner while Babatunde Fashola took over from Tinubu as Lagos governor. 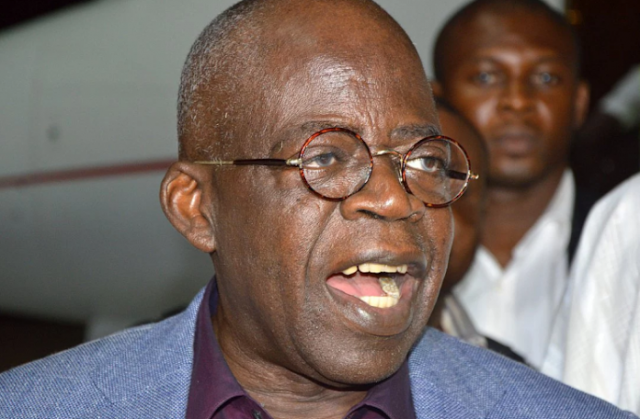 Jagaban later supported him to become the National Legal Adviser of the party. The crisis reached a crescendo when Banire was suspended from the APC in August by his constituency in Mushin. The ward executive said it took the action to suspend Banire because he had made statements that allegedly violate the rules of engagement, factionalised the party and allegedly engaged in anti-party activities. The party’s national leadership, however rejected Banire’s suspension. Some party loyalists who hitherto were allies of Banire ditched him for fear of being tagged saboteur. Tejousho, a former Deputy Speaker became the first victim of the latest onslaught against opponents of Tinubu and Ambode. Tejousho and her family were ejected from their residence at GRA Ikeja. In a commando style, heavily armed mobile policemen stormed the house about 11 am on Friday, November 3 to take over the building while she was away in London on an official assignment. The lawmaker’s family including her husband and four children were however locked inside as policemen took over the expansive building. Tejuosho was allocated the official quarters when she was elected Deputy Speaker in 2007. She was impeached from the position in 2009 but continued to occupy the residence after buying it over during the monetization era of the former President, Olusegun Obasanjo. It is strongly believed that the travail of the lawmaker is as a result her closeness to Banire who also hails from the same Mushin Local Government. To show that there is connection between the travail of Tejuosho and her closeness to Banire, the government also moved against Banire few days later. A notice requesting for a building permit to be produced within 24 hours was served on an old building owned by Banire. The lawyer had bought the building, which is situated at 24A, Remi Fani-Kayode Street, GRA, Ikeja, from the Federal Government to serve as residence for his aged mother. The notice, which was served on Tuesday also said the building would be pull down if the permit is not produced within the stipulated time. 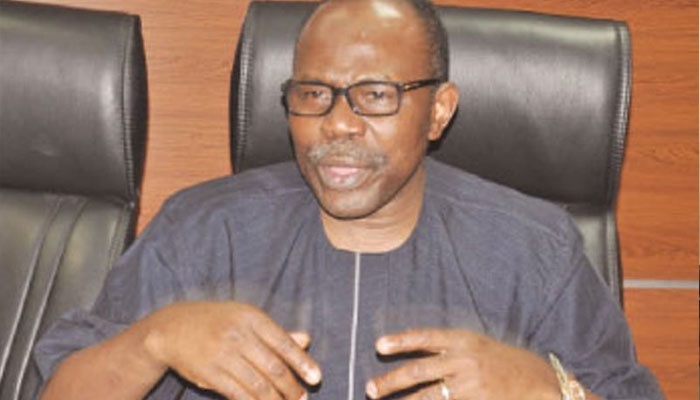 "The Lagos government is hell-bent on persecuting my family for no reason besides that I insisted on the need to observe the rule of law,” Banire said in a statement on Wednesday. "Very soon my properties shall become objects of demolition by the vindictive government that is out to wage war against real and perceived enemies. "I am, therefore, not surprised to see that my aged mother’s residence is under attack. The governor in statement by his Commissioner for Physical Planning and Urban Development, Anifowose Abiola, on Wednesday said Banire is trying to be clever by half. He also said Banire is being childish in whipping up sentiments that his dear aged mother is the target of the demand for development permit and that the said property might be demolished in 48 hours. Abiola explained that the notice equally affects other houses in the axis and that the 48-hour demolition notice only exists in his imagination. The commissioner said contravention notices "that went out on Wednesday November 15, 2017 were a routine exercise served on properties identified by the state agents as operating without due permits." He said 27 properties were served on that same day, 13 out of which are located on the same Remi Fani-Kayode Street in GRA, Ikeja, where Mr. Banire admitted his property was located. “There is no way Lagos State would have had a pre-knowledge of the owners of the properties in question let alone target the one that Banire has identified to be his own”, Anifowose said. But many observers believe there is more than meets the eyes to all these incidents. Some of Banire’s close associates, who pleaded anonymity because of possible reprisal, spoke about the situation to Bounce News. They faulted the claims by government that it does not know that Banire owns the building. A chieftain of the party in Mushin asked rhetorically: Is the government saying it has not been collecting Land Use on the property. Another Banire’s supporter said "...this is the beginning of the end of the APC. The party will shatter into smithereens. We are ready for them."